This entry was posted in Australia and tagged Australia Immigration australia working holiday visa stay in Australia Travel in Australia visit Australia work in Australia on December 5, 2014 by Blog Author. This entry was posted in Australia Australia Immigration Visa and tagged Australia PR Australian Permanent Residency Visa Australian Skilled Independent Visa Australian Skilled sponsored visa Migrate to Australia Requirements of Australian Permanent residency work in Australia on November 25, 2014 by Blog Author. 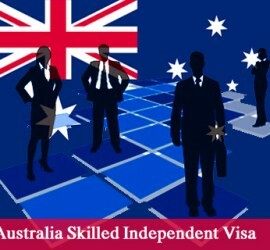 This entry was posted in Australia Australia Immigration Visa and tagged Australia 457 Work Visa Australia Skilled Independent Visa Australia Skilled-Regional visa Australia Work Visas australia working holiday visa Employer Nomination Scheme Skilled Migration to Australia work in Australia on October 24, 2014 by Blog Author. This entry was posted in Australia Australian Skilled Visas and tagged Australia Immigration Australia Skilled migration Australia Skillselect Immigration Migrate to Australia work in Australia on September 6, 2014 by Blog Author.